As more and more employers reach their staging dates and the Auto-enrolment net spreads wider, the issue of compliance becomes more relevant. Even during the early stages of the roll out, the Pension Regulator has found a number of companies in breach of their obligations and has shown a seriousness in tackling non-compliance. With smaller employers now having to turn their attention to the requirements this is a perfect opportunity for accountants and financial planners to promote the various compliance steps that all employers have to take, to introduce a suitable Workplace Pension Scheme. This is an ideal communication tool to use with existing contacts and prospects helping them become aware of this subject and its various issues. It can also be used just as effectively as a spur to gain new clients and new business. 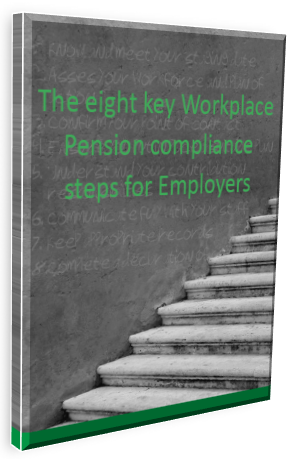 The guide shows the eight key steps that need to be taken to ensure overall compliance, with further detail explaining the staging dates, the contribution amounts and the way this new Workplace Pension needs to be introduced. If you would like to order a sample of the guide, please fill in the form below.